Surprise, surprise, I was in a cooking mood today. So I decided to cash in a few gift certificates at Gourmet Chef before they really piled up. I know that they had been sitting around for a while, probably since last Christmas. I have been planning to visit that store for a while, as I was indeed looking for some chef tweezers, the quintessential tools for working on one's culinary presentation skills - no PowerPoint skills required for this kind of job. I almost spent two hours there today and I came back , you guessed it , with slicing mandolin. The specialty store had a pretty good selection , some mandolins boxed in elegant Japanese packaging. Other sported just a plain plastic warp. Their prices ranged from just less than fifteen dollars to close to two hundred dollars for those that were labeled professional. I decided on one that sat somewhere near the middle of that price range and I selected the one by Oxo since it was mostly made of stainless steel. Besides, it felt good when I did a practice run in the store. If you are curious, you can see what one of these gadgets looks like at Williams Sonoma. I rushed back home. The green rocket Cooper got me back home a little bit faster than usual. Culinary adrenaline or open backroads? Needless to say, I got back home rather quickly and settled into my bright and sunny kitchen. Unpacked all the goodies, and yes the madoline was not alone in that big brown bag. Here's what this new guest muse produced for me. To prepare this light parmigiana, I used my newly acquired mandoline to create thin slices of eggplant and potatoes which I fried. I stacked layers of eggplant and potato slices. The parmigiana was finished stove top - folk's its still to hot to fire up the oven . I kept the dish moist with a freshly made tomato sauce and smoked mozzarella. I used very little cheese in the dish and the frying was done in canola oil which tolerated high heat better. A trick I am compelled to share with you is that when frying delicate vegetable slices, do not overload your pan and constantly watch what you are cooking. Simple preparation here for the scallops, Wash and dry . Sprink with salt . In a pre-heated skillet add 3 tablespoons of butter and 2 canola oil (this trick will keep the butter from browning) . Cook the scallops . The zucchine were blanched and then topped with reduction of balsamic vinegar and dry thyme to which then added, after cooling , a few tablespoons of Japanese mirin. This sauce exceeded my expectations. And here's the spread on this lovely day. The ciambotta, which is at the center of this picture, merits its own dedicated post. 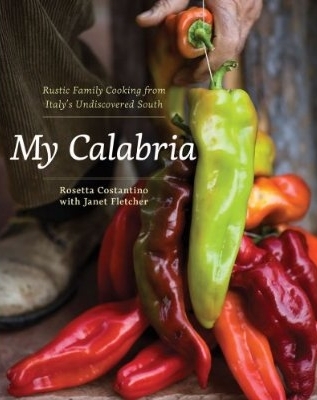 It was a staple growing up in Southern Italy and thus has been unreproducible as the vegetables of the Mediterranean are distinctively different. You get a rain check on that one. I was lucky. The chilled Greek Retsina wine that was sitting in my fridge was still good. It made for perfect accompaniement for the gifts that I brought to my island today . So do you hear the music now ? Looks amazing and I am sure, tasted even better! Mirin..hmmm...got to get some.